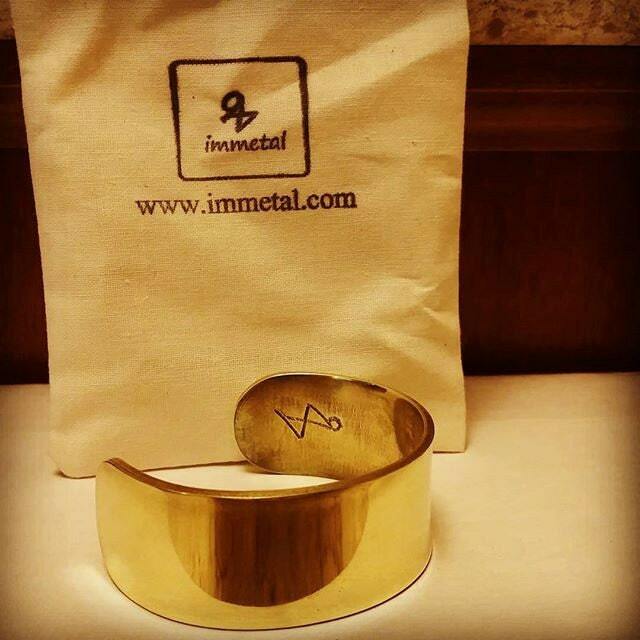 Thank you for shopping IMMETAL Designer Jewelry. This listing is for one (1) neutral brass cuff bracelet. ** ideal for either men or women. ** solid gold tone brass or yellow brass. **Width of the cuff is 1 inch across. Cuff size can be adjusted upon request.